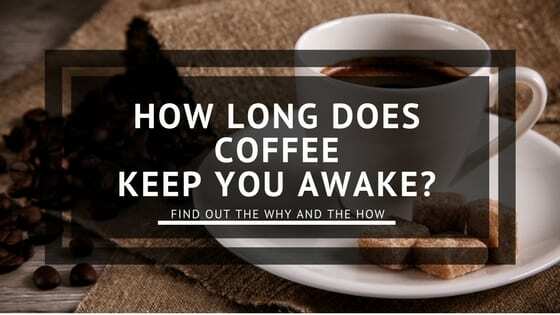 » How Long Does Coffee Keep You Awake? How Long Does Coffee Keep You Awake? How Long Will Coffee Keep You Alert? How Much Coffee Does It Take to Keep You Awake? How Long Can You Keep Yourself Awake by Continuing to Drink Coffee? Are There Side Effects to Drinking Coffee to Keep Awake? How Does Drinking Coffee Affect the Sleep Cycle Long-Term? How Do You Know if Your Coffee Is Causing Sleep Deprivation? Can You Really Become Addicted to Coffee? Almost everybody knows that coffee owes its energy boosting properties to caffeine – just like tea, soda pop, and even chocolate. But that leaves lots of questions to answer. First of all, if you drink your cup to get the boost, how long will a coffee keep you awake? The short answer is: it depends on you. It is no brainer that caffeine is a stimulant whose effect is to wake up your body and brain. Some people react more to its effects than others, so if you wonder how long caffeine will keep you awake, the answer is that it has significantly different results on different individuals. With that in mind, let's find out more about caffeine and how it works. 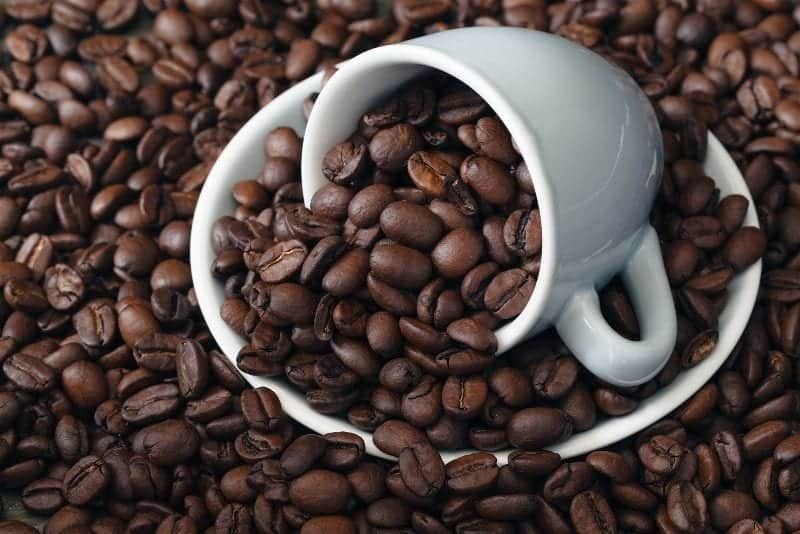 Caffeine is a plant product that occurs naturally in coffee beans and some other plants. "Plant product" sounds innocuous, as though caffeine may be some kind of a healthy vegetable – but that isn't the end of the story. Caffeine is often more darkly described as being a "psychoactive drug"
to which millions of people across America are addicted, including dorms full of college students who rely on it to keep them going through late nights of study. People commonly turn to the caffeine in coffee and other drinks to keep them awake when driving late at night, to get them energized early in the morning, and to give them a "pick up" throughout the day. When ingested, caffeine stimulates the central nervous system of the body. In other words, it interrupts natural cycles of wakefulness and drowsiness in your body and brain by sending its own new message through your nervous system: "Things are happening! Wake up and smell the coffee!" Your body responds to those messages by becoming generally more alert, responsive, and ready for physical and mental action. Before we can go on to discuss exactly how long that evening cup of coffee might continue to affect your body, we must note that not every cup of coffee is created equal. Check out this table and you will be surprised to see where you can find the caffeine! Back to coffee and caffeine, depending on the grind and brew of the coffee, the caffeine content can be proportionately varied even for the same amount of coffee. Even decaffeinated coffee retains a minuscule amount of caffeine. However, although it is not possible to remove all traces of naturally-occurring caffeine from coffee products, the few milligrams of caffeine in your cup of decaf are not sufficient to have any real effect upon your nervous system. So – will decaf keep you awake? No. Although decaf is a not a culprit for sleepless nights, the same cannot be said for regular coffee. The caffeine in your demitasse will have peaked in your bloodstream within half an hour to an hour. You may have begun to feel its energizing effects within only 15 minutes after drinking coffee. These feelings of alertness will potentially last up to four to six hours. Even after you've crashed into bed six hours later, some caffeine still remains in your bloodstream. Caffeine can block the adenosine receptors in your nervous system that should receive signals of sleepiness. In the long terms, even after drowsiness finally does set in, you may not be able to sleep as restfully and effectively as normal. If you're a regular coffee drinker, about 200 milligrams of coffee (about two cups) will probably give you an effective "buzz." Drinking up to 500-600 milligrams or more will likely turn that buzz into the "jitters." Alertness may morph into fatigue, restlessness, and possibly other unpleasant symptoms such as headaches or even dizziness and nausea. Be aware that these numbers aren't magic, though. As the owner of a unique human body, you will find that your tolerance or sensitivity toward caffeine is very individual. Genetics, age, and especially your normal habits of caffeine intake will all influence how readily a cup of coffee will affect your body and how long those affects will last. People who regularly drink a lot of coffee actually become somewhat "immune" to the caffeine content in their daily allotment of coffee. That doesn't mean that these people can drink however much coffee they want without experiencing any effects. It simply means that they will have to drink a little more before the caffeine will begin to "kick in" for them. The bad news is that coffee really doesn't rejuvenate your body. You still need that beauty sleep just as much after you've consumed that cup of coffee as before – and probably more so. A scientific study was performed by the Associated Professional Sleep Societies to give us the bottom line. By continuing to drink a sufficient amount of coffee at staggered intervals, you might be able to trick your body into maintaining an unnatural level of alertness for up to three days. ​But that's about as far as you can push it. After that, not even espresso will do the trick. Your body's demand for sleep will begin to shout even louder than your favorite brew. The question is: can drinking coffee to stay awake have negative side effects? Once again, everyone's sensitivity to caffeine is different. Most people won't experience negative side effects unless they are consuming more than 400 milligrams (about four cups) of coffee a day. Nonetheless, if you are experiencing some of the above symptoms and feel that they may be linked to your "coffee habit," doctors recommend backing off of your daily coffee intake slowly. Abruptly "going cold turkey" can heighten the symptoms and leave you feeling much worse than before. We've all heard about our internal body clocks or circadian rhythms. Darkness cues our bodies to produce a hormone called melatonin, which sends us a "time for bed" signal. Bright light prohibits the production of melatonin, thus effectively silencing that plea for rest. Regular periods of light and darkness lead to our experiencing a healthy rhythm or 24-hour cycle of wakefulness and drowsiness. 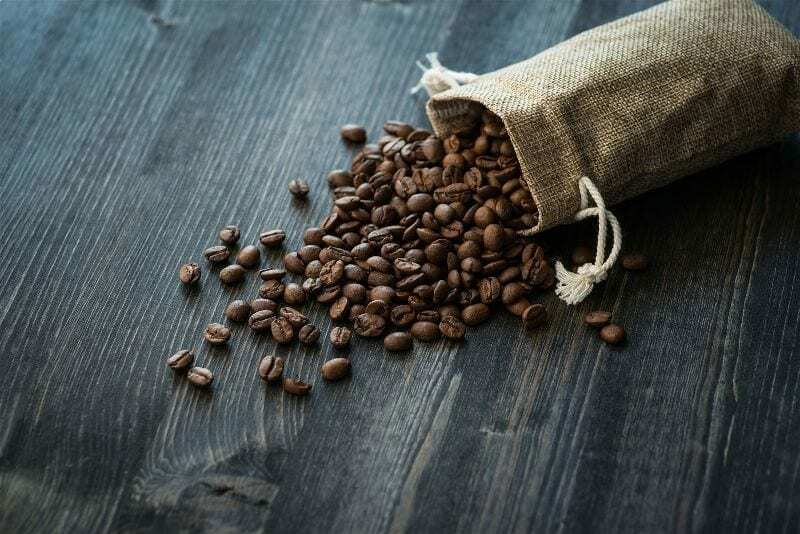 Coffee consumed within a couple hours of bedtime has been found to decrease the body's production of melatonin, effectively disrupting the natural sleep-wakefulness rhythm. In other words, coffee drunk at bedtime can potentially reset the body's internal clock, creating ongoing incidents of insomnia. You might assume that you'd know if you are not getting enough sleep. However, it seems that a multitude of Americans have become so familiar with living with a sleep deficit that they might not really recognize the symptoms anymore. Once again, gulping down a cup of coffee may seem to temporarily combat some of these symptoms. But coffee doesn't truly refresh the body by providing the rest and restoration it needs. Only sleep can do that. Who hasn't heard someone being teased about being a "coffee addict"? Maybe you've been called that yourself. Can you really develop a dependency on coffee or an actual addiction to it through repeatedly using it to allay fatigue and keep awake? Most of us laugh that off. Still, there are recognizable symptoms when you don't or can't get that usual daily dose of coffee. They range from common, mild complaints to more unusual, severe warnings. In many ways, the effects of caffeine withdrawal are similar to the symptoms experienced by an overconsumption of caffeine. You're experiencing the infamous caffeine headache. You have unusual constipation and/or muscle pain. You feel dizzy and nauseated. You notice a change in heart rhythm. You're struggling with greater insomnia. Usually the symptoms last for only a few days. Heavier coffee drinkers may struggle for a week or two with unpleasant side effects if they stop quaffing their usual amount of coffee. Only those who have been consuming an extreme amount of caffeine – 1000 milligrams a day, for example – could face a true withdrawal lasting up to a couple months. Nobody wants to be dictated to about their coffee habit, especially if they are relying on it to give them the energy boost they feel they need. General medical consensus advises staying within limits of 200-300 milligrams (two to three cups) a day. More than 500-600 milligrams a day is considered a definite danger zone. Nevertheless, everyone's individual caffeine tolerance must indicate how much is healthy for them. Be aware of the symptoms of caffeine overuse and withdrawal. Don't rationalize away danger signals. Establish personal coffee limitations that add positive value to your daily experience – and enjoy the buzz. Drinking a couple cups of coffee to get yourself alert and energized doesn't create health problems for most people, and it is pretty effective. Just be aware that since the caffeine in coffee does act upon your body like a drug, its effects will tend to become less potent over time, tempting you to steadily increase your coffee consumption in order to achieve the same energizing results. Choose wisely when you consume coffee four to six hours before going to bed. That's when many of us reach for a cup – just when we're feeling exhausted and crave that extra boost to propel us through the remainder of the day. But unfortunately, that's when coffee puts us most at risk by seriously disturbing our sleep patterns, even after our feelings of drowsiness have returned. It turns out that a morning cup of coffee is a much healthier habit than a cup of coffee with dessert after supper. Of course, there are times when staying awake is even more important than getting the rest our bodies are begging for – such as when we find ourselves absolutely having to drive late at night. In those cases, caffeinated coffee becomes a tool to use with discretion as well as a satisfying treat to enjoy. We hope you discovered a few reassuring facts in this article. Or maybe you came across something that made you stop and wonder about whether you really are enjoying coffee in the healthiest way. Perhaps you even disagreed with something you read here today. Whatever you thought, we would like to hear about it in the comments below.